A necklace of beach resorts hangs on the neck of Island Garden City of Samal, from the exclusive Buenavista Island, a solitary isle that comes with your own staff and crew to cater to your whims; to the comfortable accommodations of Chemas; the aptly named and very popular Paradise Island Resort , with its extremely clean and cared for cottages, and very efficient to the glamorous Pearl Farm Resort, designed by the Amanpulo architect Francisco Manosa, who also designed the bamboo villas on the owner’s private island right across, where the rich come to play at being poor. Go native and rent a long banca, or rent a speedboat and crew, and cruise the tiny islands, where the natives tend to be shy and giggly. Slather on virgin coconut oil, lie back in the sun and turn a dark shade of vanilla. In between dives in the warm Asian waters, take long sips of fresh coconut milk. The Davao museum highlights the the rich heritage of the Maranao, Yakan, T’boli, Mandaya and Bagobo tribes – through artifacts housed in two major exhibit areas: one featuring the early history of Davao, and another featuring art, crafts and textiles. It features refined silver betel nut containers, varied musical instruments and weapons of war. 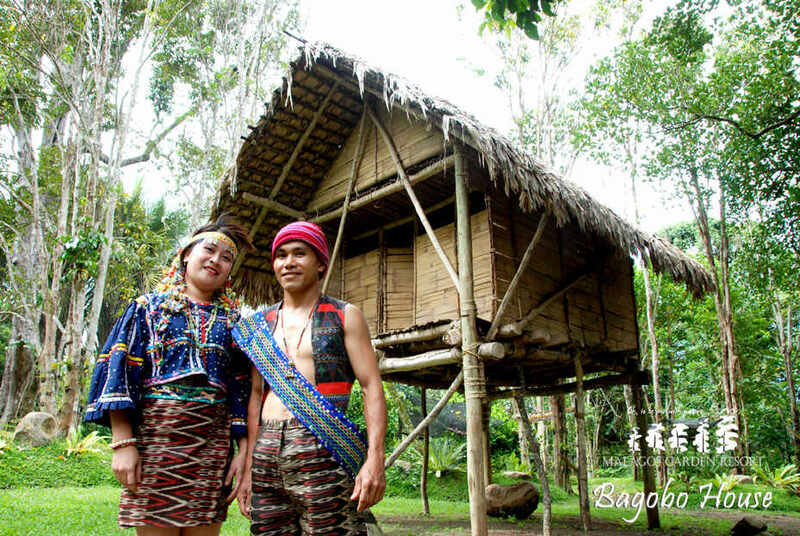 The tribes who originally populated the island had simple but profound community lives. Order a cup of joe, sink into a couch or an outdoor chair and watch people at Blugre Coffee in Landco building, or Blugre Coffee at Matina Town Square, which has a nice outdoor cafe ambience, snappy service, hip crowd on certain nights, and great coffee. Nice place to feel cosmo after a day or going native. Some coffee shops peppers the city – Bo’s Coffee Club and Coffee Dream in SM Mall, Coffee Cat, Kangaroo; the euro Figaro at the sleek high end retail shop Chimes. People get extreme about durian but it’s actually nice and creamy, like soft nougat. Personally, we like the arancillo, or puyat variety, which has a slightly bitter taste. When you’re done, put some water in the husk and dip your pinkies like a finger bowl. It removes the stink, so you’re not smelling your fingers afterwards – people might think you’re strange. or, at least something native. Before you catch your flight home, shop for an hour or two at the Aldevinco Shopping Center for souvenirs – right across the Marco Polo Hotel in the heart of the city, this not-to-be-missed destinations has feel of a souk. The vendors are friendly and will let you bargain for batik shirts, tie dyes, and beads, and they do have xxls if you ask. Some of the porcelain “antiques” may have originated in some factory in China but the effect is close. 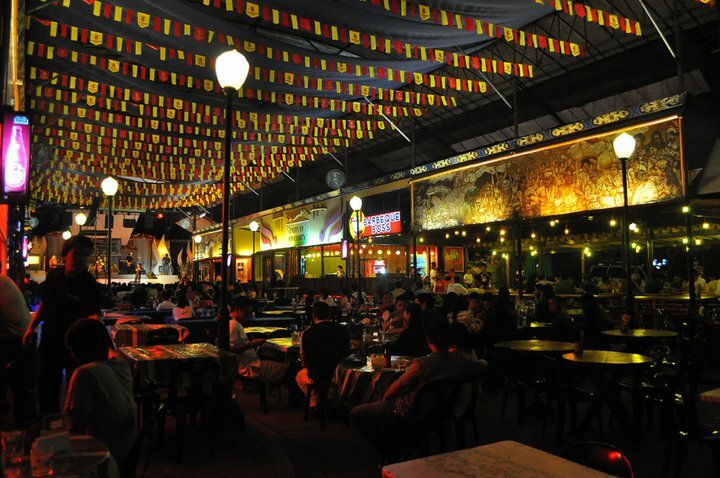 Davao’s nightlife has an equatorial warmness and a throbbing beat: Matina Town Square (MTS) is styled after Singaporean hawkers centers, with an avenue of restos, bars and shops; a tent with wall-climbing and gym, a jazz bar,a park, and a food court with live music – a mix of local talent and big city acts. Torres attracts a crowd with its hip restaurnats, coffee shops, fusion cuisines and more. It also has music venues with its up close and personal crowd that jams its row of bars. Another classic act is in Rizal street that is a cluster of European, filipino and fusion menus. You can get anything from authentic french onion soup, to shawarma with fita bread. Some nights it feels like New Year’s Eve. Davao is a sportsman’s paradise: out-of-towners come for the greens of Apo Golf Club, Ranchos Palos Verdes and Lanang Country Club; there’s badminton courts; spelunking in Samal Island and Tibangao Caves in Malita. Check out Malagos Garden Resort, and see a close-up of butterflies, rare orchids, exotic birds and fishes, and the garden sculptures of National Artist Napoleon Abueva. And just up the same mountain is the Philippine Eagle Nature Center, where Pag-asa (Hope), the world’s first eagle to be hatched in captivity, was bred. Native food is basically Visayan cuisine, which is pure, simple and basic – mostly grilled fish, clean soup with lemongrass. But all sorts of food abounds, and just as varied as a Malaysian or Singaporean hawker stand: clams, prawns and fish; grilled specials at Jack’s Ridge and Dencio’s Restaurant, both of which enjoy great night views of Davao.